Hollis Johnson/Business InsiderMarie Forleo’s mother instilled the importance of financial independence at a young age, leading Forleo to become a life and business coach. Marie Forleo is a life and business coach, motivational speaker, and host of Marie TV with hundreds of thousands of loyal fans. Her mother went through a divorce when Forleo was eight years old, and she encouraged Forleo to always be smart and independent. After stints working on Wall Street and in media, Forleo thought back on that advice from her mum and launched her own business. 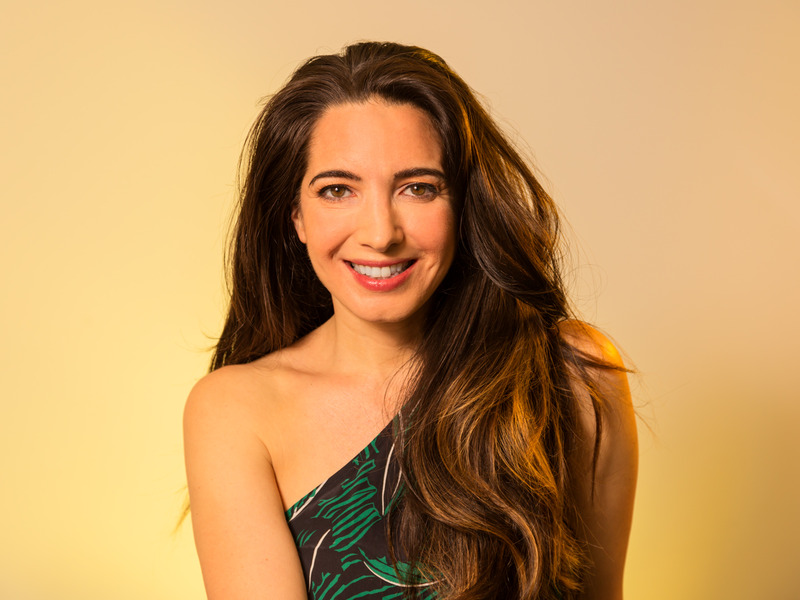 Marie Forleo has had to face her own hardships, which ultimately lead her to a career as an online life and business coach with hundreds of thousands of loyal fans. “I remember when my parents finally signed those divorce papers, I was at home with my mum and she was in the kitchen and she was crying hysterically,” Forleo said. From that point on, Forleo said she made a promise to herself that whatever happened in her own life, she was going to earn enough money to take care of her family as well as other people. “I made this connection that not having enough money equals loss of love and pain and fighting and all of this stress,” Forleo said. Before becoming a life coach, Forleo worked at the New York Stock Exchange for six months, which she thought would make good use of the business degree she got from Seton Hall University. But it wasn’t what she expected. “I realised that while a lot of people around me financially were wealthy beyond anything I had ever imagined, spiritually they felt bankrupt,” she said. Forleo also tried her hand in the media industry and enjoyed it, but still felt unfulfilled. Thinking back to that advice from her mum, she realised that she wouldn’t be happy unless she had independence in her career. She decided to take a life coach training program from a place called Coach University, and though she was aware that most people would be sceptical of someone in her early 20s telling them how to live, she saw it as a launch pad for building her own business. “I was willing to take that risk because of all of the pain, the pattern of the persistent failing that was happening before, and the fact that I was willing to live on the cheap,” Forleo said. She left her day job and worked part time as a bartender and dance instructor to fund her nascent business and grow clients. With persistence, material people loved, and eventually endorsements from the likes of Oprah Winfrey, Richard Branson, and Tony Robbins, Forleo built a profitable powerhouse around both life and business coaching. She had achieved a financial freedom her mum told her to achieve that went beyond a well-paying job, but was one she had full creative control over. “When I see that I can play such a small part in having someone go from that point A to point B, I want to spend my whole life doing that, and that’s what I get to do every single day,” she said.